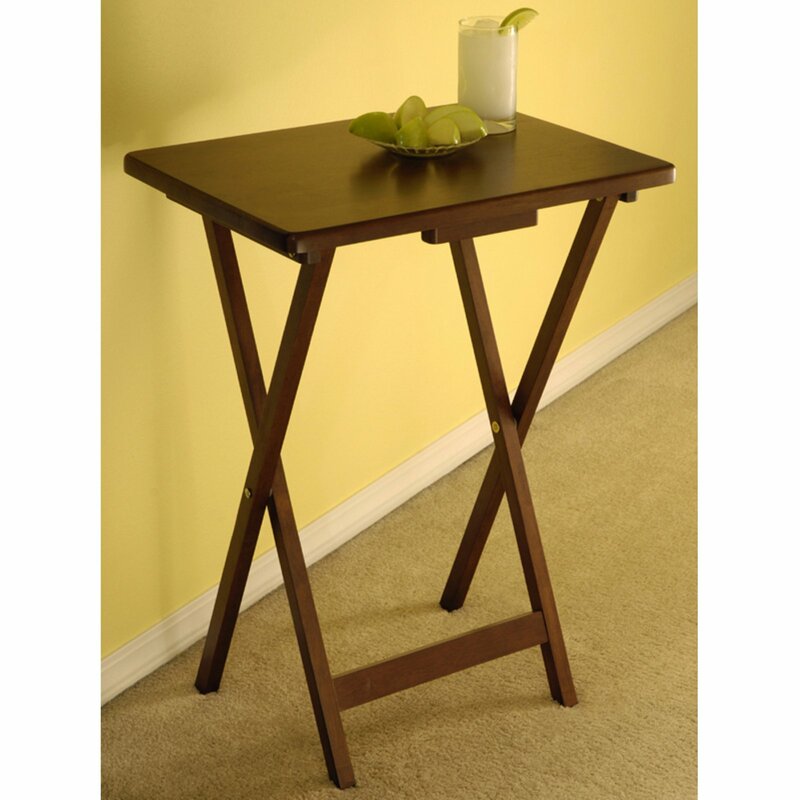 Great for keeping in dining room, kitchen or game room, the 4 Single TV Table is great to have for work and play time. With Rectangular tops, these wood TV Tables can easily hold a large meal with style. Does not come with storage rack. Each set consists of 4 Single TV tables. Tray Table Top surface is 19 inch Wide x 14.50 inch Deep. The set of walnut tables have a nice look with the walnut wood grain. Also, they come already assembled and that's a plus. However, the locking mechanism underneath doesn't fit tight, and if you pick up a table, it is likely to collapse. Also, the tables all came wrapped in a cellophane that is not easy to take off. It was apparently installed before the tables were put together, so you have to take time to cut if around the parts underneath. For the price, they are an excellent value even with the flaws noted. Home territory searches the web to find the best prices and availability on TV Tables and related products foir your home like Set of 4 Single TV Table, Walnut. For this page, related items include products we find that match the following keywords: "TV Table" at our vendor partner Walmart - Click More Info / Buy Now to check for price rollbacks!. Set of 4 Single TV Table, Walnut is one of 9 TV Tables and related products available for sale through HomeTerritory.com, If you have any questions on this product, please give us a call at 734-971-1210 during the hours of 9am - 5pm EST for assistance. Thank you for shopping at Home Territory, the home furnishings superstore!